As the weather is warming up so does the desire for simple salads. This recipe is based on cucumbers but it would be super simple and delicious to add a few cherry tomatoes or even some chopped fennel. Super easy to make, this little recipe is a great side for your meal tonight. How about trying it beside our Stuffed Capsicum recipe? Serves: 4 Prep: 15 min. 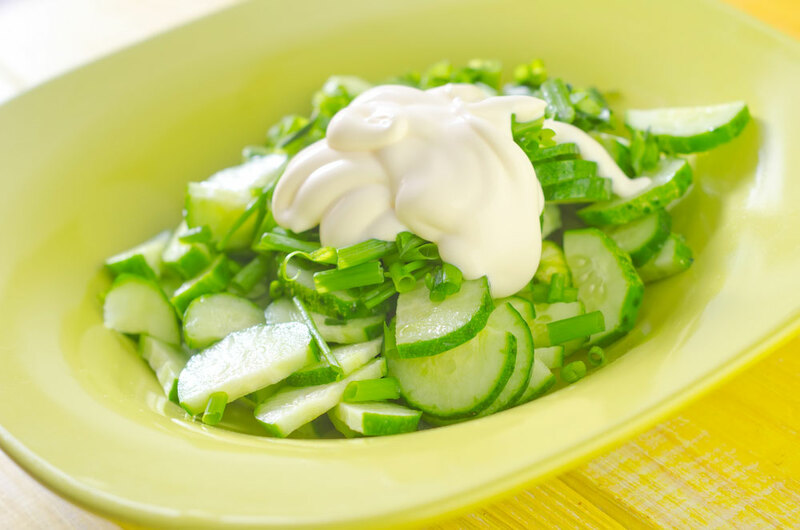 In a large bowl, combine the mayonnaise, dill, chives and vinegar, and season to taste with salt and pepper. Mix well. Add the cucumber slices to the bowl, and stir gently until everything is combined.